We’ve never really seen cleaning a grill as a chore, but more of a pleasant prelude to a session of sizzling steaks. Apparently not everyone feels this way. 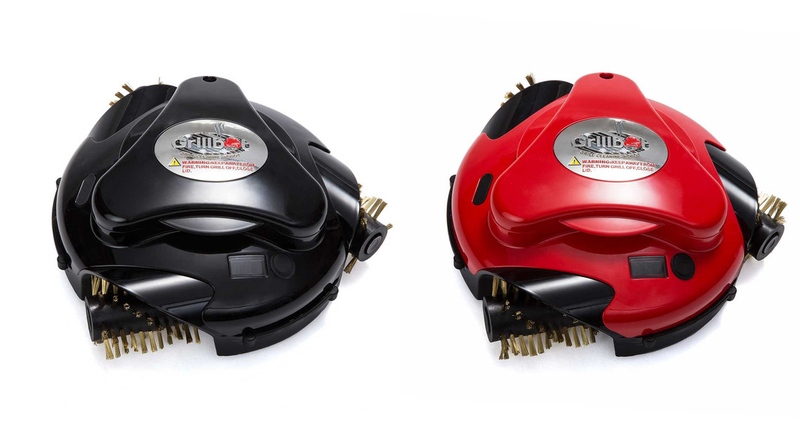 The Grillbot is the “world’s first automatic grill-cleaning robot,” and it looks like a Roomba for your grill. It’s been around a couple years, but this year it will be shown at the Outdoor Retailer convention — the nerve-center of the outdoors sporting industry. The Frizbee-size “robot” has three battery powered wire brush wheels that spin in opposing directions. You plop the Grillbot on the grate of your grill, push a button, and walk away. It will run for 10, 20 or 30 minutes, depending on the cycle selected, skittering around the inside of your grill for the duration of the cycle until a beep signals it is done working. 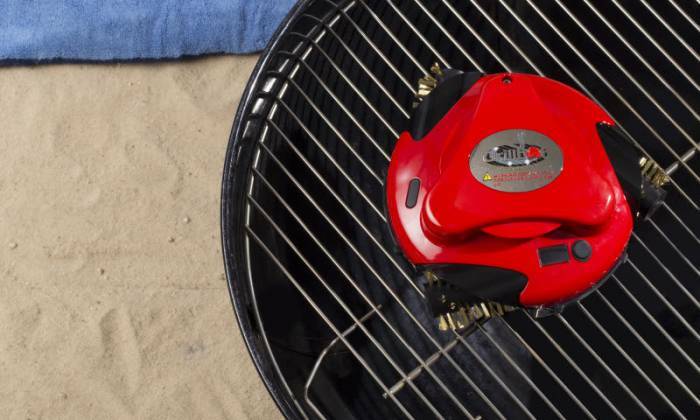 Powered by a lithium-ion battery, the company claims the Grillbot will work 4.5 hours between charges. This thing seems over-the-top silly to me. I won’t trade in my simple grill brush, nor stop enjoying the minute or so of wire brushing a heating grill before adding a bit of oil. But for someone who needs every trinket, well, this is one they probably don’t have just yet. It’s available online for $130.